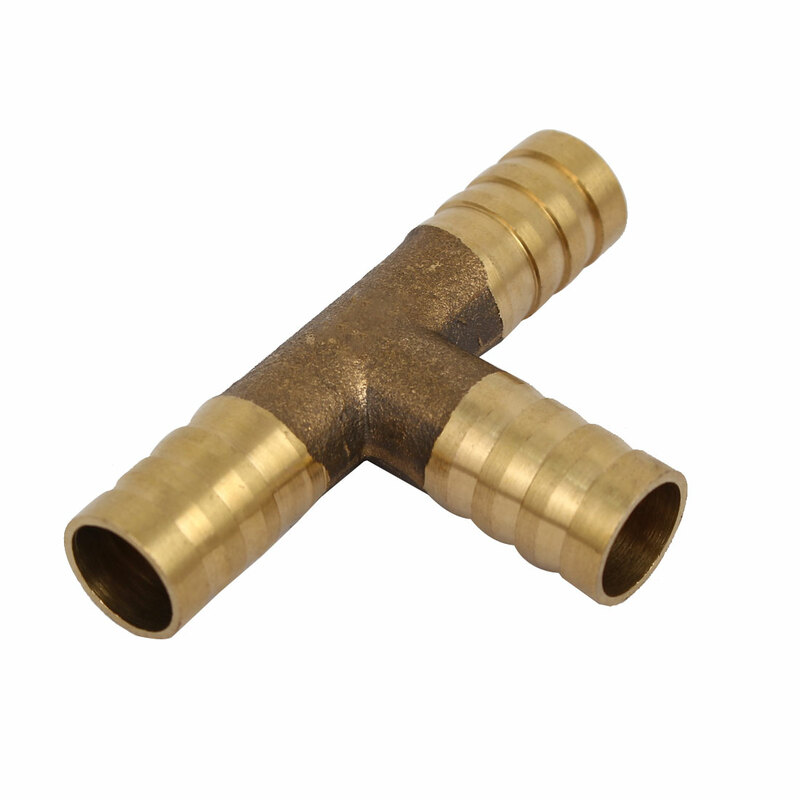 Brass tone T hose barb is for pipe fitting, durable to use. Fit Hose Diameter: 10mm/0.4"; Inner Dia. : 9mm/0.35"